Real Madrid have rejected as many as three mega offers for their out-of-favour midfielder James Rodriguez, according to reports in Spain. Having lit up the 2014 World Cup, James Rodriguez soonafter joined Real Madrid from Monaco for a fee of £63 million. The midfielder had a brilliant debut season in the Spanish capital back when Carlo Ancelotti was in-charge, but began to struggle under the Italian’s successor, Rafa Benitez. And now, under the management of Zinedine Zidane, the playmaker’s situation has gotten even worse, with him rarely getting included in the Los Blancos’ starting lineups. The 25-year-old has therefore been linked with several big money moves away from Real Madrid, with European Giants like Chelsea, Manchester United, and Paris Saint Germain rumoured to be the frontrunners in the race for his signature. 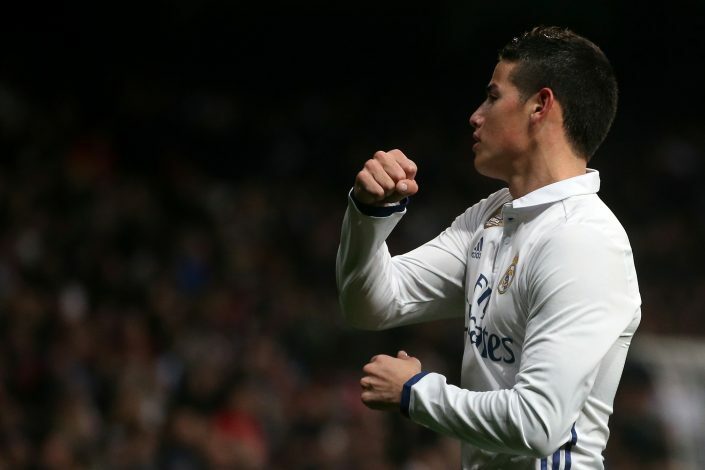 And as per the latest reports from Spanish media outlet El Chiringuito de Jugones, James was recently subject to as many as three gigantic offers – not from European clubs, but the financial powerhouses of China. As per the report, Real Madrid rejected a few offers within the range of £87 million. One of these bids came from Chinese Super League outfit Hebei Fortune — a club that is currently being managed by former Manchester City boss Manuel Pellegrini. The Chilean was also ready to offer James £500,000-a-week, which is ten times the amount the midfielder currently earns at Real. The reason behind the rejection of these mammoth offer is believed to be the fact that James has now decided to fight for his place in Real Madrid’s starting XI, after holding talks with Zidane over his future. And even if Rodriguez does decide to leave the Spanish giants, it will be for an European club, and not a wealthy Chinese one.